We have a sad tale to tell you. You know how much we love Rowan yarns – in fact Sunspun was the original importer of Rowan into Australia about 30 years ago and we have stocked many, many Rowan yarns for many, many years. We adore their patterns and have made up many of them as store samples over the years. We daresay we are talking to a few of you who have purchased those very samples from us and now lovingly wear these garments. Our sad news? 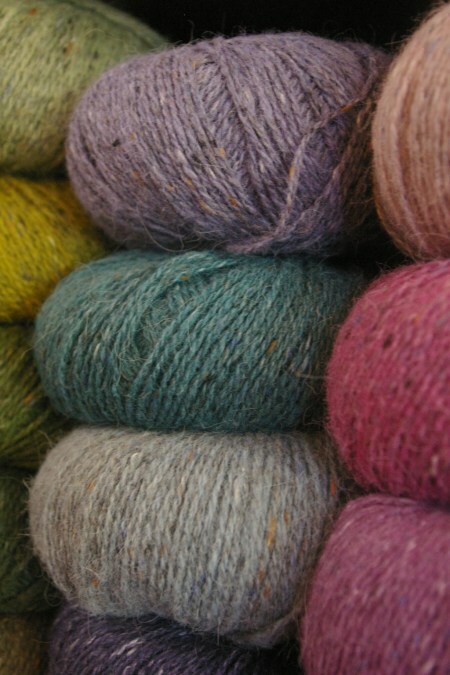 We were recently informed that the Rowan brand has been sold by Coats UK to MEZ Crafts who have been through all the products with a fine tooth comb and have decided to discontinue many yarns, discontinue many colours in the yarns they’re keeping, and unfortunately have raised the wholesale prices by up to 250% in some cases. We’re all kind of shell-shocked here! I’m told we’ll be given more information on which yarns and colours are being discontinued some time in mid-May so we’ll send out another newsletter then to keep you up to date. So, given the huge price rise it’s likely that we will have to dramatically reduce the number of Rowan yarns that we can continue to stock. We will be definitely keeping the ever popular Kidsilk Haze and Felted Tweed DK and we’ll make a final decision on the remaining yarns once we receive the information regarding which yarns are being discontinued. At present we have good levels of stock of most yarn lines but we won’t be placing any further orders until the dust settles. The silver lining to this sad tale is that our shelves will be bare and waiting for some new yarns to arrive. What shall we choose ???? Choices, choices, choices!! Categories: Uncategorized | Tags: Rowan | Permalink. I do wonder if the changes in direction are determined by people who don’t knit and prefer calculators to needles and yarn. There are wonderful yarns I have lusted after on the web. 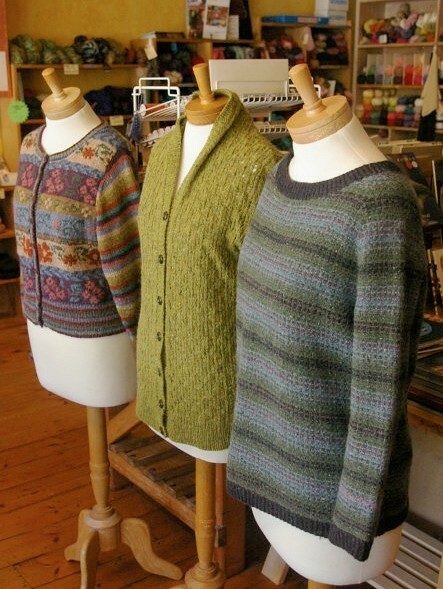 The yarns are from companies Habu Textiles, Knit Collage, Little Dandelion in order of ‘lustworthiness’ . It seems so Anne, can’t fathom how they made some of these decisions otherwise! Thanks for your yarn suggestions, I’ve got a list of lust-worthy yarns as long as my arm – how to choose!! Oh that is bad news however, you’ll continue to excell in the way that you have always traded. Thanks Lyn, that’s a lovely thing to say!